"AWS EMR at a glance"
EMR does well in managing the cost as it uses the task node cores to process the data and these instances are cheaper when the data is stored on s3. It is really cost-efficient. No need to maintain any libraries to connect to AWS resources. No UI client for saving the workbooks or code snippets. Everything has to go through submitting process. Not really convenient for tracking the job as well. EMR is suited if the jobs are long running and doesn't really need much monitoring. EMR is really flexible in processing the data on s3 as a developer doesn't need to spend time on debugging the connections to s3 from a big data framework as most of the configuration is taken care of by Amazon. Very cheap when compared to most of the solutions on the market and the ready to go configuration at the launch time reduces the amount of time required for admin tasks. So, considering the cheap cost, processing options on s3 and scalability via adding task nodes, EMR serves a better purpose for startups considering open source and cost-efficient options. "We've moved our hadoop processing here"
Not much! We had a fairly easy tiime getting Spark on EMR running. Was a little troublesome at first, but once we learned the platform, we love it! We have moved our hadoop/sqoop data processing here. This allows us to offload the MV refresh process we used to have in place inside Oracle, thus saving us valuable throughput and DB load. "Easy way to run Big data applications in the cloud"
Amazon EMR is easy to setup and use. There are plenty of ways to get started, such as the AWS EMR console, or you can automate the whole thing using AWS command line tool awscli, or the boto3 api for Python. We use a combination of awscli and boto3 for automation. It provides best in class tools built in, and integration with other amazon services such as s3 for data as well as log aggregation, etc. It also provides a way to use AWS EC2 Spot instances, which reduce the cost to run Map Reduce jobs by 50-80% on average. There are no major dislikes about EMR, but in general, they could provide more options to monitor the cluster, and also provide ways to troubleshoot the failed jobs and provide ways to recover failed jobs. But Amazon is going in the right direction and hope they address those things as well. If you are on AWS and looking to run Hadoop/Spark, look no further than Amazon EMR, and it might save a lot of time in setting up your cluster, and helps you focus more on the application business logic than worrying about the infrastructure configuration and setup. We use EMR primarily for data analytics and big data processing using Spark, Hadoop and we also use S3 for storing the output. There isn't an easy way for setting up authorization and authentication in EMR. Cloudera does a better job in maintaining that. EMR is the way to go if you're going to run big data workloads in AWS. The best part is its ease of use for the user. We use it for big data storage. The platform is very useful in regards to its processing and storage of big data. "Ideal tool for Analytical Based Project that used Hadoop and Apache Spark." Amazon EMR is best option for running resource heavy task. It is secure and easy to setup with its intuitive setup wizard in both basic and advanced mode. We need to to worry about the cluster formation and handling, Leaving it to Amazon EMR we can concentrate on designing model to run on it. Not much variety to chose from. EMR Clusters are not highly versatility. It comes with basic application setup like hadoop, spark, Hive etc. But we need to relive on Bootstrap action to download and install require applications. Amazon EMR is used for information extracting from the history and logs of our other applications. It is very cost effective when compare to other methods. It made data processing and analysis easy. "IT made easy to process big data"
Its complex to use in initially and i think there should be proper Userinterface for real time. We were able to easily crunch over 400million events every few hours. We can use HIVE which makes the learning curve much easier. IF you forget to turn off your instance.. you can expect a nice heavy bill. The sizing of the cluster is not easy to use, we tend to just guess. We were crunching a lot of data that were coming through our pipeline. "Easy way to setup and use hadoop with flexible configurations"
Most of the featurestes are good,. one thing i felt is, it is less custmizable. "EMR: Easy Setup but Dispatching Work has Friction"
Its very easy to set up and upgrade Spark clusters. Auto scaling with spot is also great, as it can save you lots of money on the correct workloads. The step API does not allow you to run concurrent workloads and its unecessaraly difficult to set up a local client that is not located on the actual EMR cluster (i.e. dispatching work from a scheduler to a Spark cluster on EMR). ETL workloads and building a data warehouse. Big learning curve for someone who hasn't used a program like this before, I found it quite frustrating and bit of a headache until I got really comfortable with it. From a fairly basic understanding, Amazon EMR allowed us to streamline our processes and see an in-depth scope of our business, both under a microscope and birds eye. Sometimes the time it takes to create a cluster in a specific region. It allows my analytics team to troubleshoot customer issues as they arise and query a customer's current database. Can be expensive to start with. 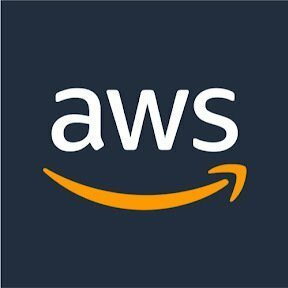 Need to have some understanding of other aws features to start using it. make the organization of medical records very easy to process. the user interface can be kind of tricky to use. The ease of starting up a new cluster and picking up where the old one left off. No security on some of the web interfaces. Enabling developers to troubleshoot in production is very difficult. It is easy to use with lots of documentation available online. Also, with Amazon EMR we can provision one, hundreds, or thousands of compute instances to process data at any scale. It is extremely low cost as well. Not much to dislike. We faced issues initially going through the documentation to set up EM clusters. Allows us to handle massive data sets when our local hardware won't allow it. Takes a very long time to spin up a cluster, and is relatively expensive. Requires a decent amount of technical knowledge to get started. We are solving the problem of handling large amounts of biological data. We are able to more quickly analyze our data using EMR. "Great Hadoop Environment in the cloud"
Its a fully managed service in Cloud to handle and Support Big data platform. Which is amazing that there is no need to handle complex configuration of Big data platform. There is none so far, and i am expecting to have more featuers added on this EMR Platform in terms of supporting machine learning. "Simple way to get into Hadoop"
Auto-scaling can be painful, especially when running Spark jobs that run the application master on core nodes and get killed. "Dipping toes in the water -- and drinking the water"
"Great product for batch processing usecases"
Great for batch usecases, quick and easy to learn, deploy. Reporting, monitoring, alerting ... everything is out of box. "EMR a great service for analytics"
We are taking unstructured data or data that can't be used to make business decisons and transforming it into something in which our business can use. good performance, ease of use and easy to spin cluster in EMR. Easy to integrate and build with terraform. version constraints on components. It is really confusing to add components to the cluster coz of version constraints and its really hard to find good documentation. The best part of EMR is the auto scaling option. This is highly cost effective. I love the transient nature of the solution. Easy to spin up, bootstrap with additional services and configurations, and get going. No big complaints. Failover of the master could be better. Batch analysis and transformation for ingest into data lakes and Redshift. "Good as long as you aren't in a hurry"
Great for not in memory querying and data access. Powerful for very big data. In-memory solutions like Presto are very limited in data size. Make sure you know your requirements for speed and size. Joining and filtering internal and external data sets. That platform is very organized and easy to use. Learning the gist of this program was easy to follow. "Pretty good for cloud based Hadoop"
It's really good for handling fast generating, unstructured data. It is not very user friendly and requires massive amounts of memory. We run Spark jobs on EMR, which are used our machine learning applications for better user recommendations. "Hadoop cluster deployment made easy"
"Using Amazon EMR to evaluate the data on Spark networks"
Does not provide 'on premises' options. It's all setup at launch time. The bootstrapping feature is useful. It is easy to use EMR for me as I come from an on-prem background. Not sure of which instance to use. Given so many options in the hardware selection. "Easy to Scale Hard to Migrate"
Its hard to Migrate to a new cluster types, as the Master is still stuck at the initial config. There really isn't much to dislike yet. We haven't really challenged the product. "Sqoop and spark operations in EMR"
The auto scaling option to evaluate, transform and load the data without need to set up new settings. The hard understanding of the user interface. Managed Hadoop cluster clears a lot of operational hazards and optimizes cost. Working environment, all in one platform. Instances and cloud data. User friendly. * We monitor all Amazon EMR reviews to prevent fraudulent reviews and keep review quality high. We do not post reviews by company employees or direct competitors. Validated reviews require the user to submit a screenshot of the product containing their user ID, in order to verify a user is an actual user of the product. Hi there! Are you looking to implement a solution like Amazon EMR?